Hi everyone! It's Godelieve here with some projects using the Stitched Christmas stamp set! The Plaid Background stamp works well with this tree from the Stitched Christmas set. I stamped with Archival ink. The tree has sewed on buttons. I love those messy stitches and the words in this set! On this card and the label below I used a gesso resist technique with Distress Inks. 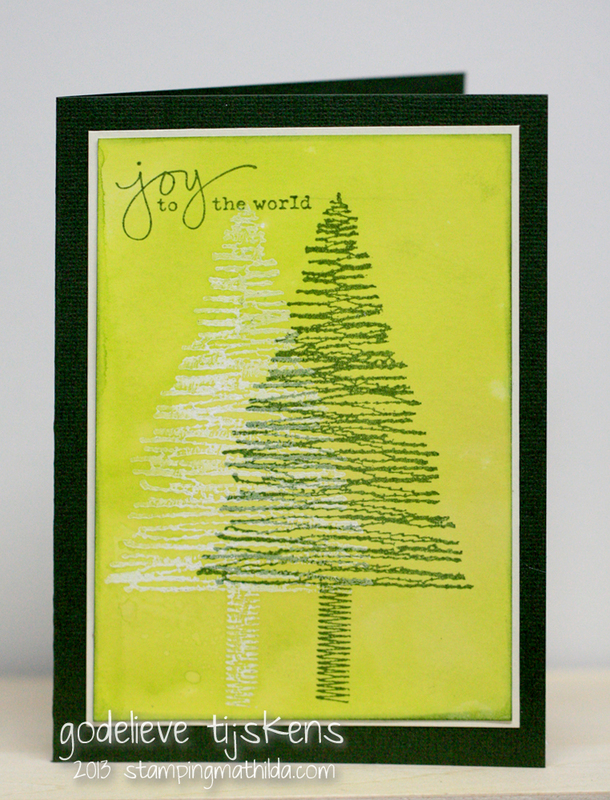 I stamped a green tree on top of the resist with Archival ink. The tree on this label was decorated with Viva Pearls. I also used a stamp from the Christmas Reindeer set. HAPPY 7th BIRTHDAY to my beautiful boy William!!! 7 on the 7th of the 7th!! 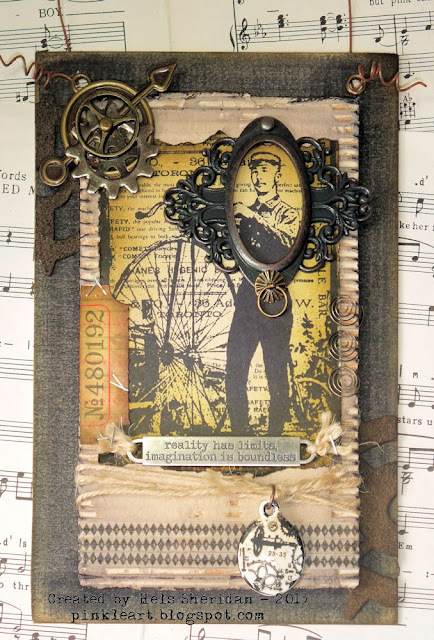 The Darkroom Door Robot Collection is just perfect for boys cards so I created a side step card using this very cool collection. Did you count the robots? To start, I wanted to create the impression of a starry sky. 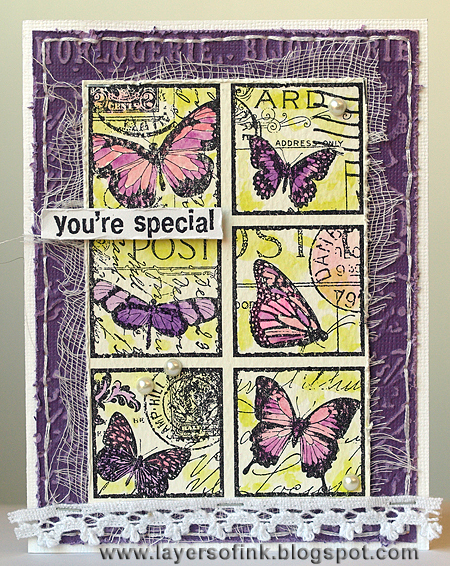 To create this effect I simply applied the Splatter Background Stamp onto specialty stamping paper with embossing ink. I then heat set some holographic embossing powder. Here you can see the background cut up and added to the side step card base I created. Next it was a matter of adding all of the elements. The chipboard stars are by The Dusty Attic. I have painted them with white gesso and then added Viva Décor Glitter Paste over the top. I used a craft knife to cut away the background from the Robots Filmstrip leaving just the frame with the robots. Thankyou for checking out my Robot Collection card today! I hope my son likes it! Hi there stampers! 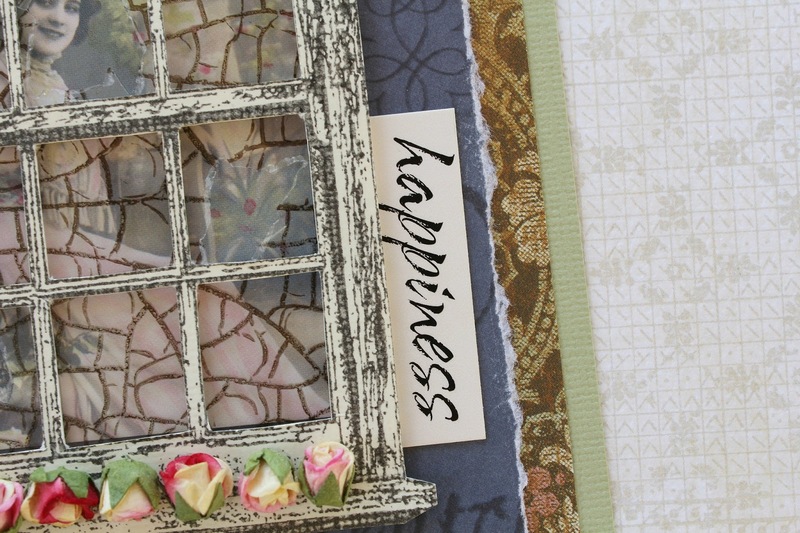 It's time to bring you a little sunshine... so today we are sharing projects using the Sunshine Background Stamp! 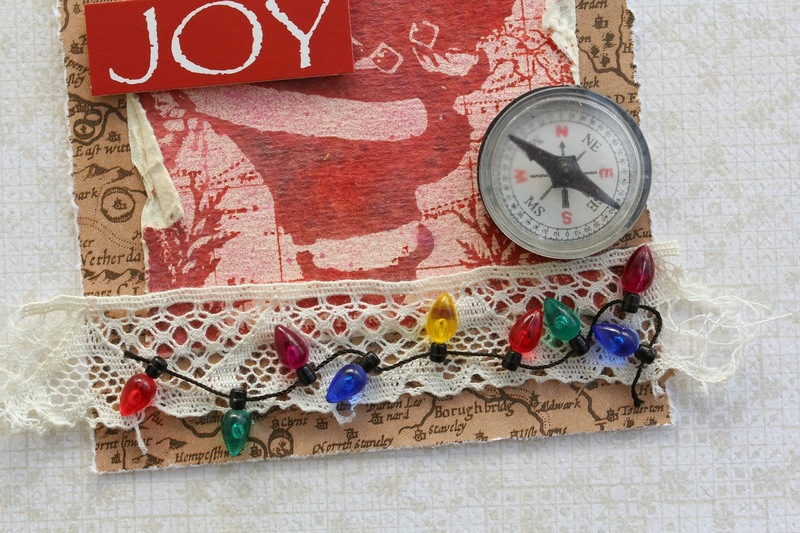 This is a super quick and fun card to make! Start by folded a light yellow or cream piece of cardstock as your card base. Then stamp the Sunshine Background using Archival Chrome Yellow inkpad. The light and dark areas of the stamp will now show up as different tones of yellow, giving it three different shades. Fun!! The hello circle is from the Simply Circles stamp set. Punched out using a circle scallop punch and layered into the card using 3D adhesive to make it pop up. 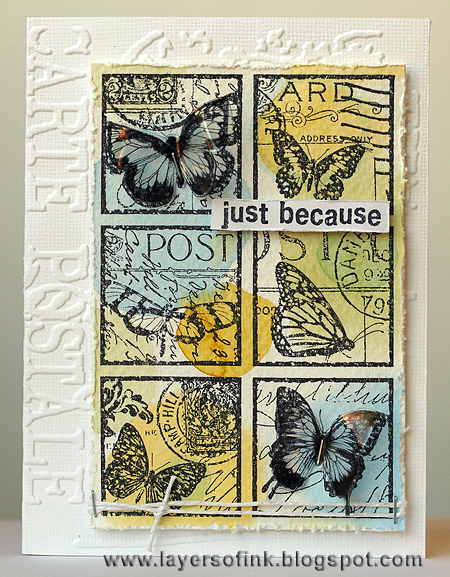 I stamped the Sunshine background with Archival ink French Ultramarine, the quote and butterfly with Cobalt. The background and butterfly were inked with Distress Ink #Crushed Olive & Broken China. A few pearls, made with Viva Decor's Pearl Pen as finishing touches. A New Home card I made with the new Sunshine Background stamp! 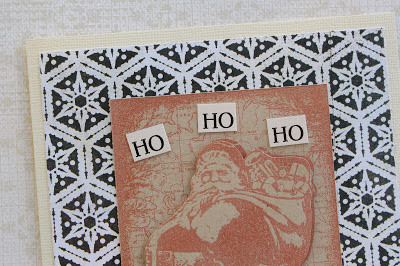 I started with a Distress Ink Background, cut to card size. I used the leftover pieces to make a tree and some shrubs. The house was stamped with Ranger Archival ink, and inked with Fired Brick Distress ink. 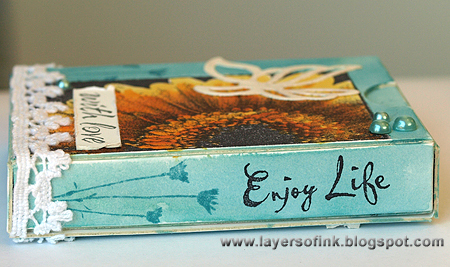 The Sunshine stamp was stamped with Ranger Archival Ink #Saffron. I love how crisp this ink stamps. It shows every little detail from the stamp. To add some texture to the tree trunk I used the Scratches Background stamp. The sentiment on the card was stamped with Darkroom Door's Alphabet Medley. I've combined one of the hottest trends (neon) with my favourite alphabet, the Alphabet Medley set to make this encouragement card. 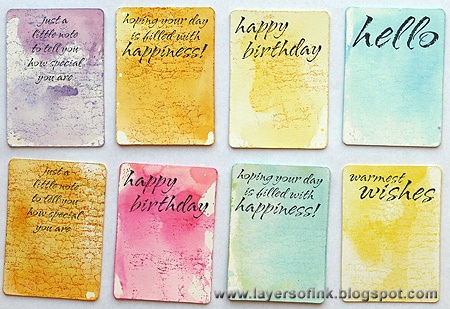 Details: I created a set of card/tags using the new and fabulous Sunshine background stamp! I have to be honest, I loved it at first sight. I used it on some high gloss pattern paper and love the effect!! I also have a thing for butterflies so that made it an easy choice as to what to add to the center of the Sunshine design. I also used the Butterflies and Wings set. We hope you enjoyed these ideas! 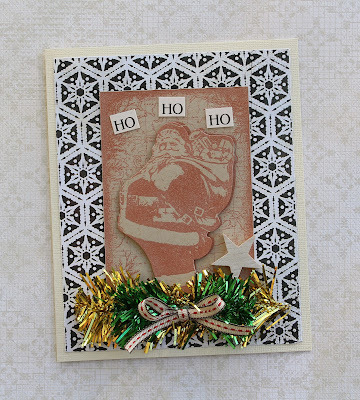 Today we have some fabulous projects from the Creative Team using the new Crackle Background stamp! Details: I stamped the Crackle background with Distress Ink #Old Paper on white cardstock. Then I overstamped the crackles with 2 large tags and two small ones from the Tags Rubber Stamp Set, using Ranger Archival ink #Coffee. The background stamps are large enough to cut these 4 tags. I inked the tags with Distress Ink #Vintage Photo. 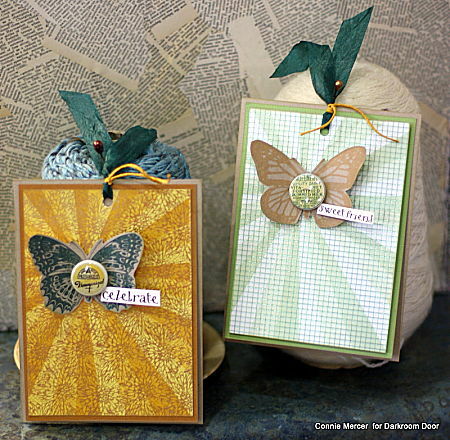 I stamped the tags with stamps from the Foliage, Butterflies and Wildflowers Vol 1 set. To finish off these labels I used gingham ribbon, twine and a Viva Pearl Pen. 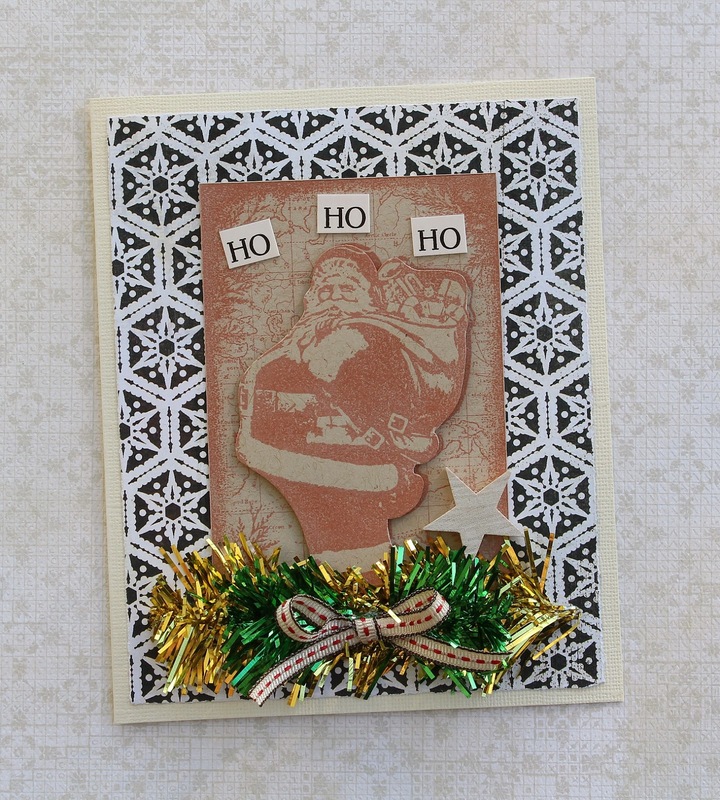 And a quick card, made with a Distress Ink background, stamped with the Crackle Background stamp. 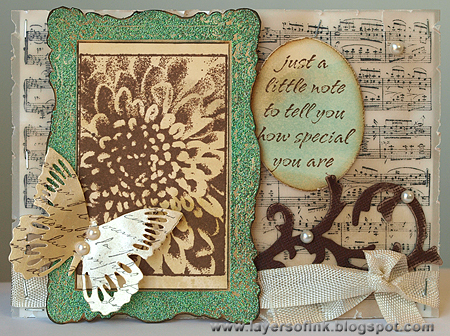 I decorated the card with the gorgeous filmstrips from the Bright Blossoms collection. Next up is Hels with a fabbo canvas! The canvas is an 8" square, coloured with Claudine Hellmuth Studio paints, using my fave Traditional Tan for the base and then using Sable Brown mixed with Traditional Tan to make an in-betweeny colour and then the Sable Brown on its own for the darker colour on the top layer. I used the scraped paint technique to apply the paints, I loves this technique and it goes perfectly with the new Crackle stamp. To add the stamping to the canvas, I first got a Kleenex tissue and de-plyed it so it was a single layer. 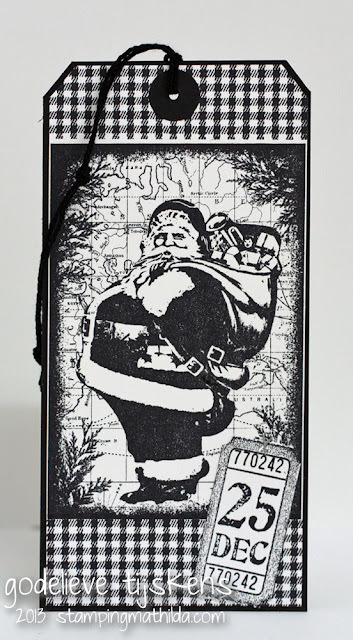 The crackle was stamped using Jet Black Archival Ink and zapped with a heat tool to dry the ink off. I then tore pieces of the image and applied it to the canvas using Glue & Seal Matte to collage over it. The reason I use a cosmetic tissue is that when it is torn on the edges, the Glue & Seal kind of melts it into the canvas so it doesn't just look like it has been plonked on there. I set about adding some texture, using a Claudine Hellmuth stencil and some 490 Embossing Paste (black) and once this had dried I went right over the top of the whole canvas with more Glue & Seal to provide a nice waterproof coverage to it. Out came the old Stabilo All pencil to add some shading to th textured parts and once I had blended this part, I painted my two-tone edges - yep, I am a smidge addicted but hey, there's nowt wrong with being addicted to paint right? 1. 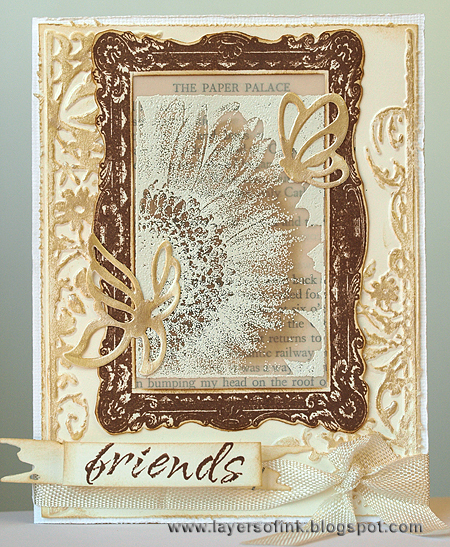 Stamp the crackle background on acetate using brown ink. 2. 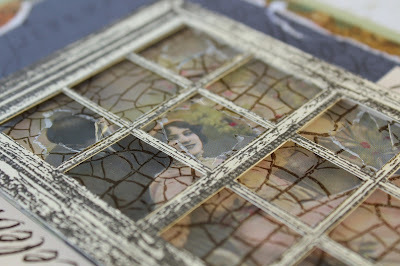 Stamp the window frame on cream card using black ink. Use a craft knife to cut out the individual panes and affix the stamped acetate behind the window. Tear a few holes in the acetate "glass". 3. 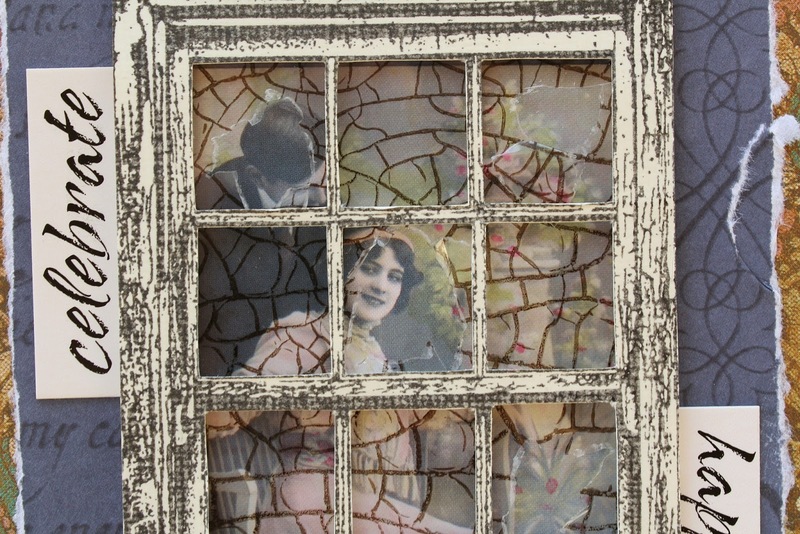 Adhere a Love Letters photochip behind the window frame and then attach it to torn patterned paper using mounting foam. 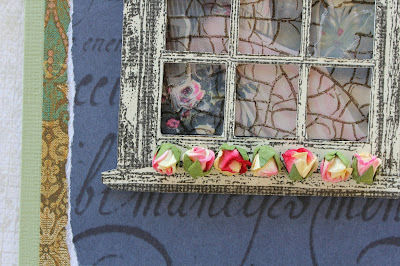 Glue flowers along the window sill and add the Love Letters wordstrips. 4. 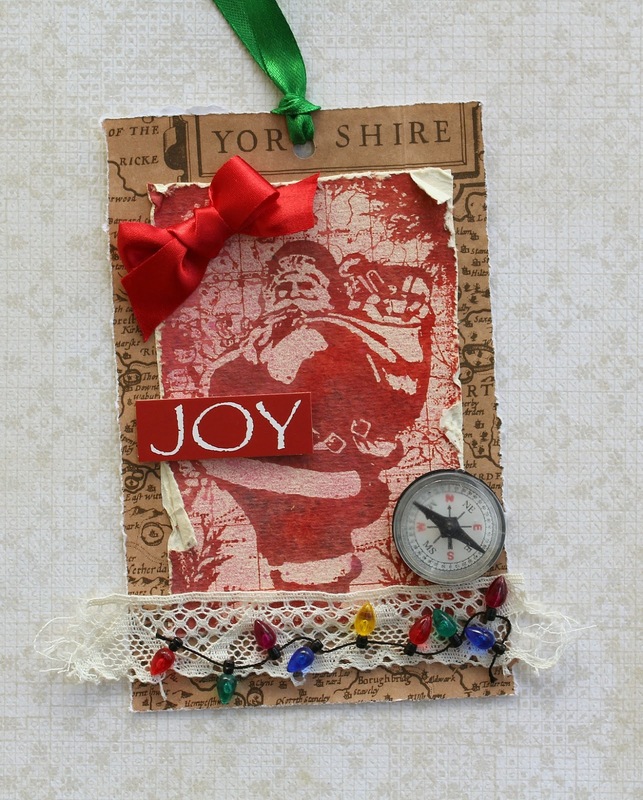 Finish by layering on a second piece of patterned paper and then on the green card front. 1. Stamp the crackle background on brown card using watermark ink. 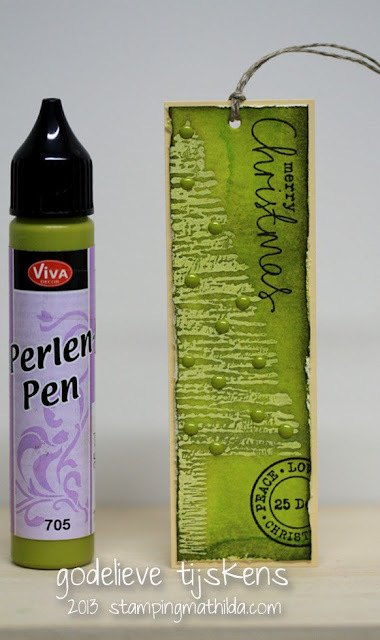 Sprinkle the wet ink with embossing powder and heat set. 2. Crumple a Paris photochip into a ball, smooth it out flat, and affix it to the embossed card. 3. 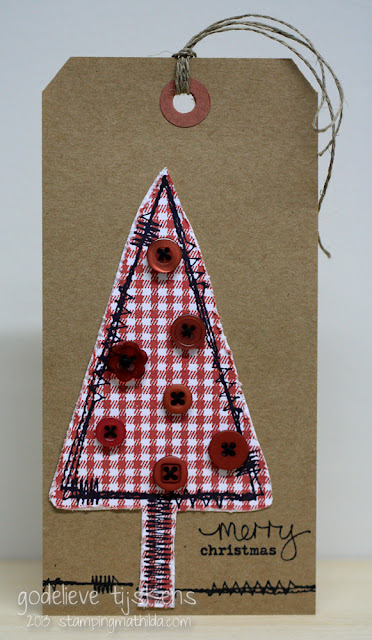 Attach the card to torn patterned paper. 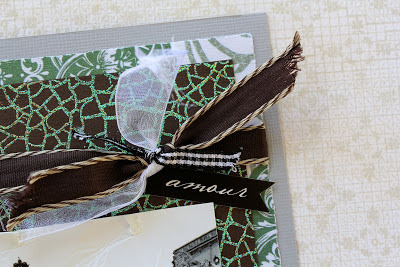 Embellish with ribbon, lace, brads, and a Paris wordstrip. 4. Affix to card front. Details: Today I have a layout to share with you using the Crackle Background Stamp. My layout background was influenced by the super talent that is Louise Nelson. I started with a kraft cardstock base and then added VIVA DECOR Croco Crackling Colour in White. Once that was dry and beautifully crackled, I applied some acrylic paint with a palette knife. I also splashed on some Glimmermist before repeatedly stamping on some sentiments from the Home Sweet home Rubber Stamp Set. My next step was to place some sheets of iron strategically over my layout. I stamped the Corrugated Iron Background Stamp onto some specialty stamping paper, added some white crayon for crayon resist and then coloured with Distress Markers. I blended the markers with a water brush pen and flicked over some Glimmermist. 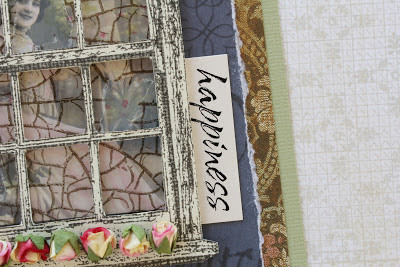 I then created a rustic window using the brand new Crackle Background Stamp and the Shadow 12 Up Frame Stamp. Firstly I inked up the Frame Stamp with Tumbled Glass Distress Ink. 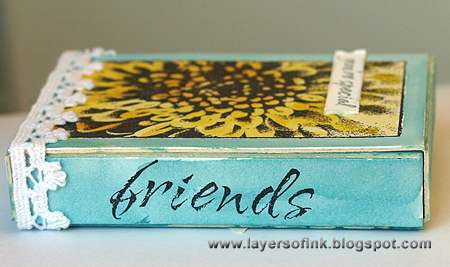 Next I applied Broken China Distress Ink onto the Crackle Background Stamp. I then stamped the Crackle Background onto the frame stamp as per the stamp kissing technique. 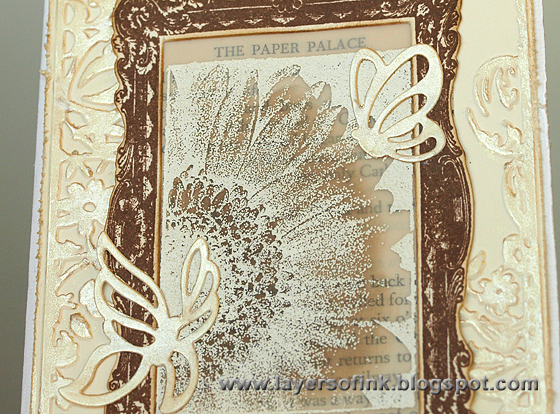 I then applied the frame stamp onto my stamping paper thereby transferring both images. While the ink was still wet I applied Ultra Thick Embossing Enamel and heat set. I did this about 4 times to create thick panes of glass for my window. The embossing powder didn't take evenly so when I rubbed over some Walnut Stain Distress Stain it created a really rustic effect. 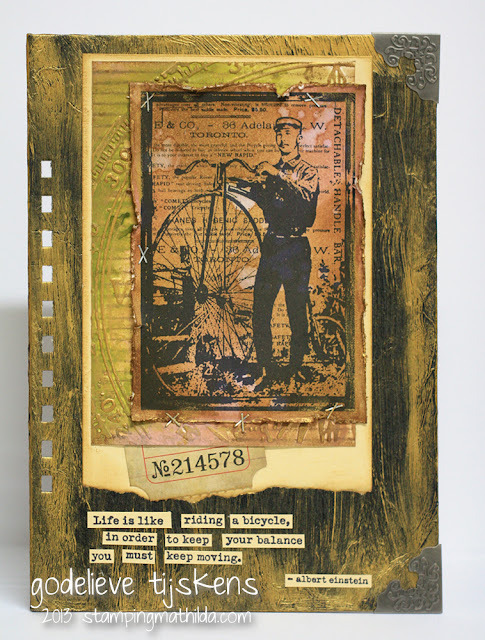 To create the rustic wooden frame, I stamped the Scratches Background Stamp onto cardstock. Then I applied the frame stamp over the top and simply cut out the panes of glass leaving just the frame. 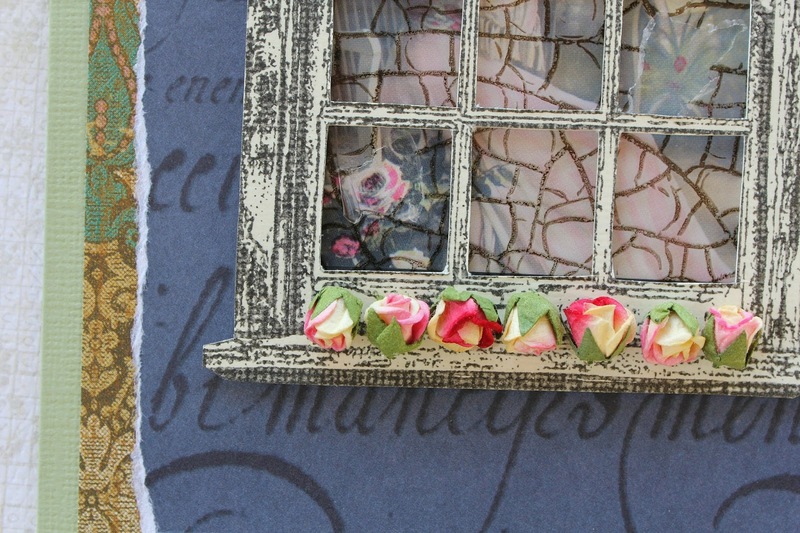 I layered the frame over the top of my previous embossed piece to create the complete window. Thankyou for stopping by today and checking out our projects! Hello again! I had so much fun with the Bright Blossoms Vol. 1 stamps. The flowers are gorgeous and the sentiments fit lots of different projects. 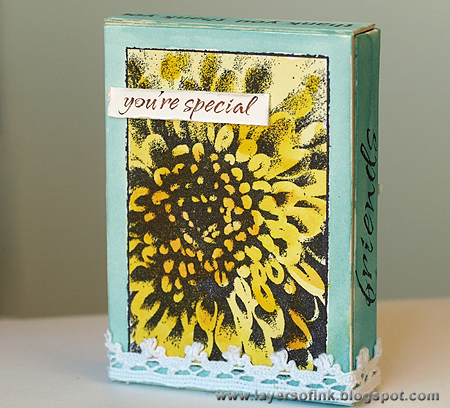 The Bright Blossoms stamps are just the right size for the Sizzix Artist Trading Cards Box die. I die cut it from white mat board and stamped one of the flowers on the front and the second at the back, with Archival Jet Black ink. The flowers were watercoloured with Distress Ink. 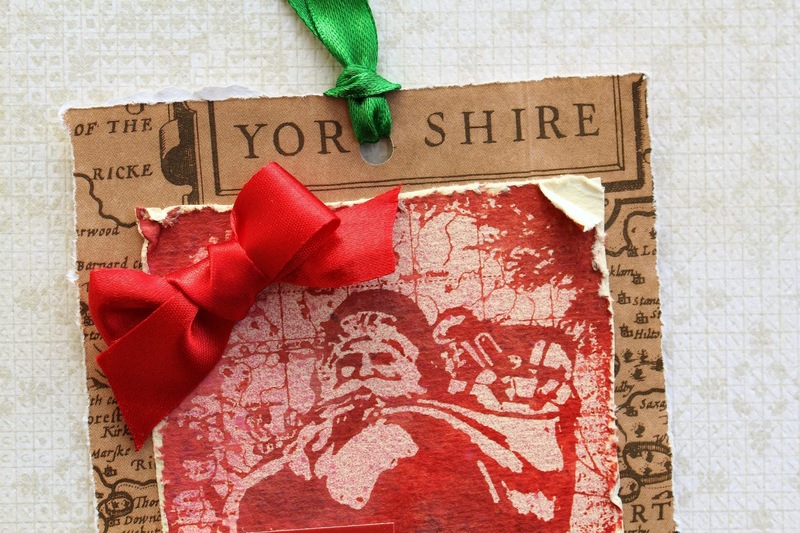 Smear two or three ink pads on your craft sheet, mist with a little bit of water and apply with a paint brush. The amount of water determines the darkness of the ink. I coloured the surrounding area the same way. The box was embellished with Bright Blossoms Wordstrips and die cut butterflies which were coloured with Viva Decor Inka Gold Platinum. Here you can see the back of the box, with the second stamp in the set. I stamped the sides and the lid with one sentiment from Bright Blossoms Vol 1, one from Bold Blossoms, and one from All Occasions. The little flowers come from Wildflowers Vol 1 and were stamped with Broken China. The second side of the box, this is a Bright Blossoms sentiment. 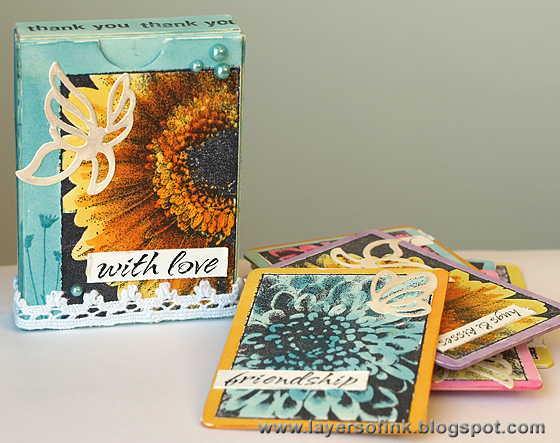 The box is a little thank you gift to someone and contains eight cards that the recipient can give away to others. I might give it to my mom, because she will love these flowers. I made chunky cards, by using mat board instead of cardstock, for something a bit different. 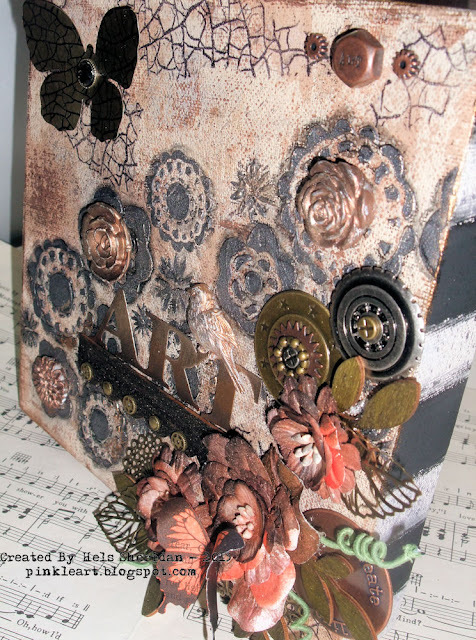 You can fit eight mat board cards into the box if you don't add bulky embellishments. I used an ATC die to cut the cards and a stamp positioner to make sure the flowers were stamped right in the centre of each card. I wanted to make the flowers really bright and happy and used different Distress Inks to watercolour them and the borders around them. 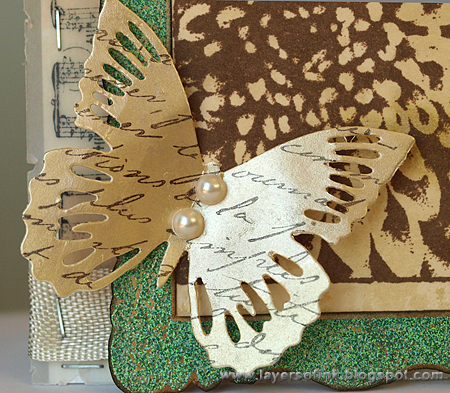 All the cards were embellished with a butterfly and a wordstrip. I picked words that worked together with the sentiment stamped on the back of each card. To use up all the ink, I misted it a bit more, and smeared the backs of the cards into the left-over ink. 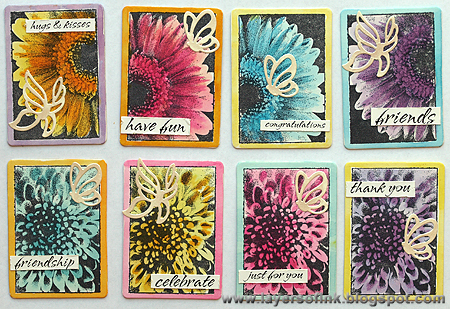 When dry, I stamped sentiments on the cards, using all the sentiments in the set. I also added some texture by stamping the Stone background with one of the inks used to colour the backgrounds. Here I stamped the flower with Versamark ink on vellum and embossed with white powder. A bit of Gathered Twigs Distress Ink was sponged at the back of the flower, making it darker in the centre. The flower was layered on top of an old book paper, with the title showing at the top ('The Paper Palace'). I loved how it turned out. The Bright Blossom flowers fit so well inside the Regal Frame. The frame was stamped with Archival Coffee ink on cream cardstock, cut out and inked a bit. A sentiment from Bright Blossoms was stamped on a tattered banner and stapled to the card. As a background, I embossed a piece of cream cardstock and smeared Viva Inka Gold Old Silver on top of the embossed areas. It is hard to capture the shimmer on a photo, it looks really nice in real life. The die cut butterflies got the same treatment. I made a second version of the card too. 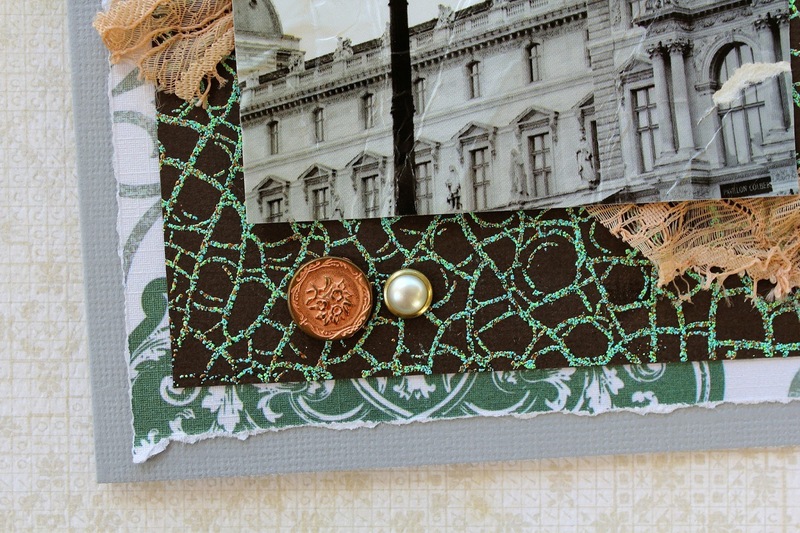 Here the frame was embossed with Verdigris powder and the flower was stamped with Coffee ink on manila cardstock, which had been inked with Distress Stains. The frame was cut out and inked with Black Soot around the edges. 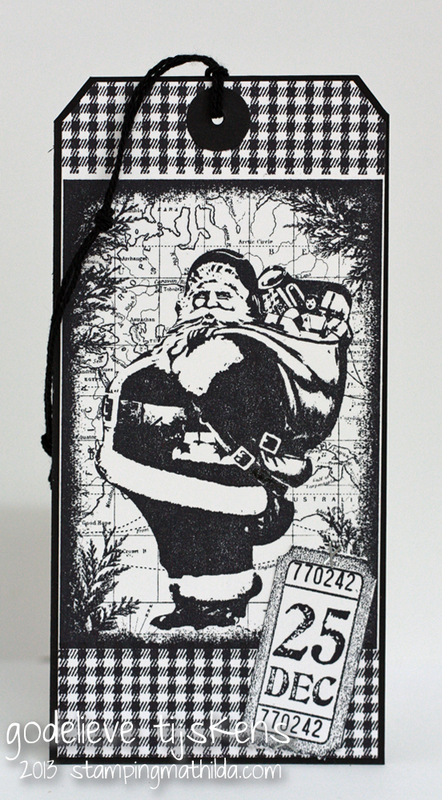 For the background, the Sheet Music stamp was stamped on vellum with Stazon Jet Black. I inked the vellum at the back with Gathered Twigs and distressed it around the edges. 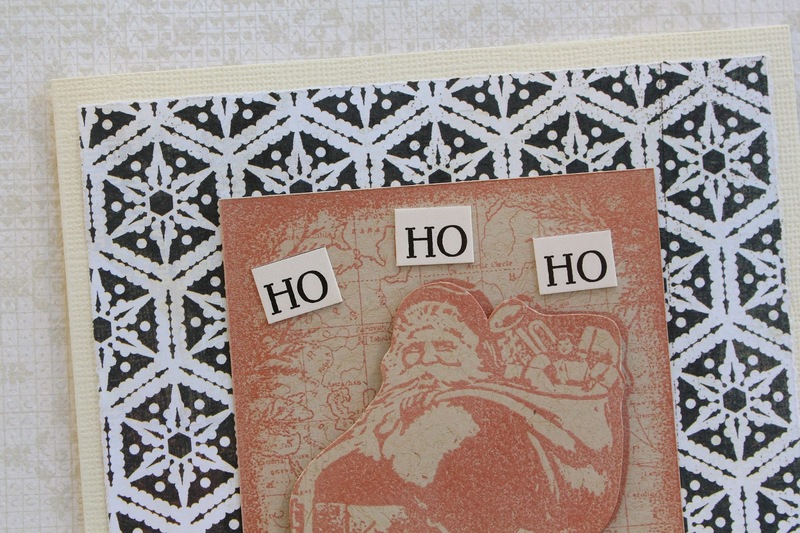 The sentiment was stamped on another piece of inked manila cardstock die cut into an oval. Love this sentiment. The butterfly was die cut from cream cardstock, coloured with Viva Inka Gold Old Silver and stamped with the French Script stamp using Timber Brown Stazon. I placed foam dots under the wings to give it some dimension. The covers are made from thick chipboard, which I painted with some new 3D Stamp Paint. I love the rough sandy texture of this paint! I cut out the image and placed it over some tea-stained gauze on the front cover, and added a word from the Wordstrips, mounted on thick chipboard. I used some of the tiny images on the Montage sheet, over scraps of old dictionary page. 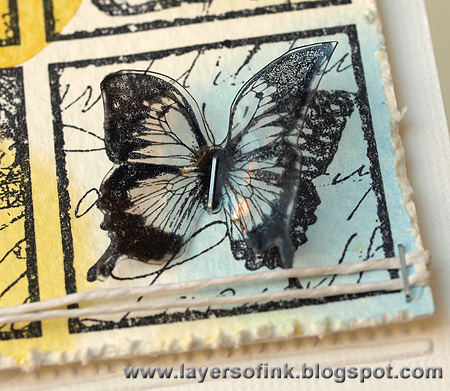 I even used some of the 3D Stamp Paint as ink for my rubber stamp. It has dried slightly raised, adding some interesting texture.